Originally published June 2010 but worthy of reprise! In many respects Edge Foundation are leading the way but, thankfully, they are not alone! Like other “citizens” they are impacted when the errors or assumptions of Politicians and commerce are socialised. They recognise the INTERDEPENDENCE of ECONOMIC; ENVIRONMENTAL; SOCIAL; CULTURAL domains. They are key to our own SUSTAINABILITY. Businesses must take a similarly holistic view…DON’T WAIT AROUND FOR GOVERNMENTS AND INSTITUTIONS TO TAKE A LEAD!!! It is no longer about reward for SHAREHOLDERS at the expense of STAKEHOLDERS. Organisations need to embrace CHANGE. What’s i2o and why is it any different? Well it is something that I thought summed up what Quantitative Complexity analysis is all about! Getting right to the heart of the matter to build a clear – objective – picture [complexity map], literally, from INSIDE TO OUT: i20. Because Change Management is a difficult enough task to perform when people have their little empires to protect, Silos begin to close ranks and unite like they rarely do on a day-to-day basis! Even within relatively small organisations there is always someone to question the motivation for change. Hardly surprising if there is little [or no] transparency associated with the decision-making process! TOP DOWN requires an in depth and objective management review. 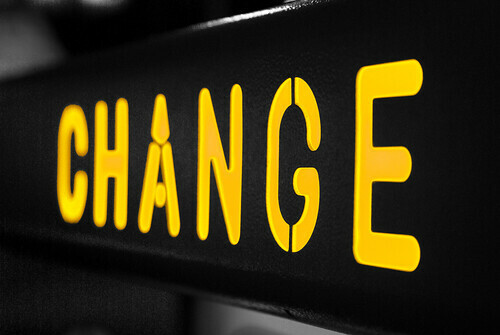 Ultimately, change needs the buy-in of engaged employees. Too often this approach is, understandably, associated with a “command and control” management strategy even where “persuade and influence” is preferred. BOTTOM UP is all too often dismissed as irrelevant, ill-conceived, impractical or not financially viable, by “the management”. The result, at least in theory, is impasse. or, at best, compromise that results in minor – often short-lived change. Hence the benefits offered by i2o. Objective and transparent based upon a quantitative complexity analysis that can be measured, monitored and managed on an ongoing basis. Reduce the number of KPI’s. Identify strengths and weaknesses within the operational structure whilst monitoring the overall complexity of the system and its ecosystem.